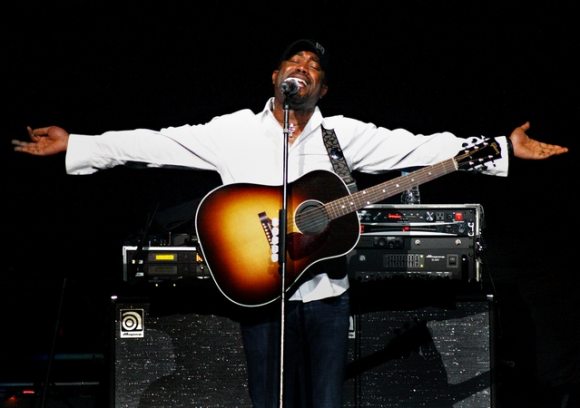 Can this single keep the momentum going for Darius Rucker? A huge challenge for artists is to follow a huge career hit with another strong song. That’s the challenge out there for Darius Rucker. He’s coming off Wagon Wheel, which doesn’t want to leave the charts. But you have to keep moving and Darius seems to have another fun country song ready for the end of summer. This is a pretty good song. With Darius you always get those songs that sound like they could play well on pop radio, but that’s what makes him special. He’s different with his music and people love it. This is another great song with a catchy melody. The song isn’t deep, but it tells a good story about people enjoying the radio even while they have nothing else. Heck, you don’t need anything else if you have a radio with good music. Darius finds a great melody again in this one. He certainly has a knack for creating those great melodies and since he writes most of his hits, sans Wagon, you know it’s all coming from him. Great song that should do great on the charts.